The propose of this work is to identify the isotopic ratios and their variations for uranium-238 series isotopes in some collected phosphate samples and experimental examination of 186 keV gamma line separation method and also to study the effects on these values to investigate and interpret the distribution of radionuclides and check the secular equilibrium in uranium decay series. These results will contribute to a better understanding of the behavior of radionuclides during the development of the phosphate industry in the El-Sebaiya area. The isotopic activity ratios of 238U/235U, 238U/226Ra, 226Ra/214Bi, 226Ra/214Pb, and 214Pb/214Bi have been calculated, and the phosphate sample was analyzed using a hyper-pure germanium detector. The analysis of the spectra was done using GammaVision analysis software. The samples were collected from El-Sebaiya locality, Aswan, Egypt. Complementary metal oxide semiconductor (CMOS) camera was used as radiation detector. The methodology to use CMOS active pixel sensor for radiation monitoring purpose is discussed. A new cluster count algorithm to measure dose rates from the images captured using the commonly available CMOS cameras in cell phones and tablets for gamma radiation measurement was developed and implemented on personal computer (PC). Images were taken in standard gamma fields and analyzed on PC to generate the calibration coefficients. The algorithm was validated using 60Co source for dose rates up to 10 Gy/h by images captured on Samsung Galaxy GT-6800 tablet. The algorithm was also tested using other radiation sources such as 137Cs, 241Am, and X-rays for different dose rates. Dynamics of near ground concentration of ambient thermal neutrons (TNs) was studied using data of neutron detectors of the COsmic-ray Soil Moisture Observing System (COSMOS) network and those of the Laboratory of environmental radiation of the Instituto Tecnológico de Aeronáutica (Brazil). A significant excess of TN count rate over that of rapid ones was found in two COSMOS probes located in Brazil and other sites in North America and Europe. 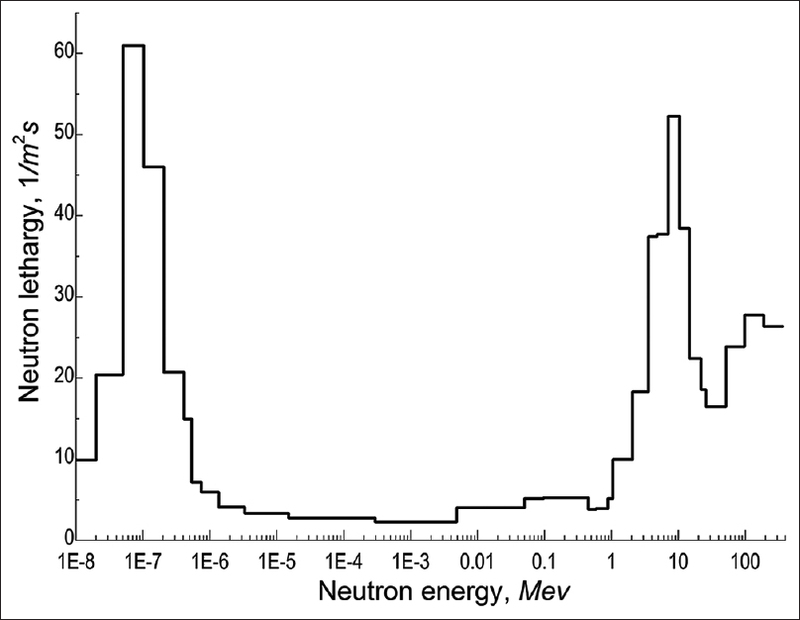 The effect was explained in terms of neutron production in nuclear (α, n) reactions initiated by decay of radon gas comprised in the ground rather than in the atmosphere. A revealed strongly marked diurnal variation of the TN concentration proved to be in antiphase with air temperature that is characteristic for particles in thermal equilibrium with air. A previously unknown effect of saturation of nighttime TN concentration was observed. It is explained in terms of a dynamic equilibrium state, which sets in the absence of vertical convection between the neutrons escaping from the ground and their losses in nuclear reaction in the air. The results described can be used for the determination of ground concentration of ambient radon and its dynamics in boundary layer of atmosphere as well as in other geophysical studies. Several radionuclides of the 238U (or its decay daughters such as 234Pa, 234U, 230Th, 226Ra, 214Pb, and 214Bi), 232Th (228Ac, 208Tl, and 212Bi), and 235U decay series have been measured. 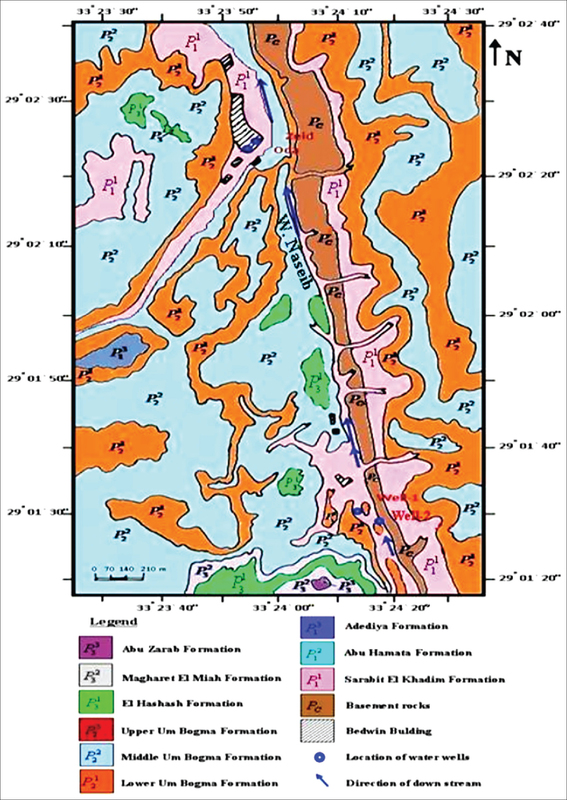 The 234U/238U activity ratios (ARs) are >1 for most rock samples indicating preferential abundance of 234U relative to 238U from the rock due to prevailing reducing conditions. 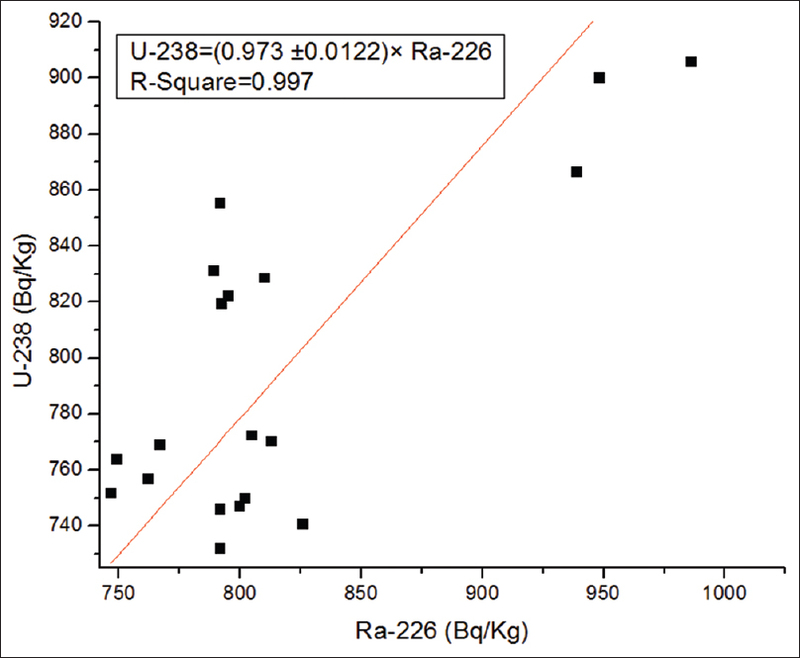 The 226Ra/238U ratios are ranging between 0.04 and 0.6 and averaging 0.4 which show disequilibrium in the direction of uranium concentrations. 230Th/238U and 230Th/234U ARs for all studied samples are less than unity, suggesting that all 230Th are produced by in situ decay of 234U and there is no allogeneic or initial 230Th. Exposure rate, dose rate, radium equivalent activity, external hazard index, internal hazard index, and radioactivity level index are determined. The exposure of natural background radiation imparts a major contribution to inhalation doses received by the public, and its amount depends on the lithology, altitude, and building construction materials. 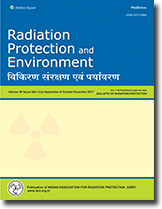 The preliminary results of indoor and outdoor gamma-ray dose rate of Udhampur district, Jammu and Kashmir, India are presented. Indoor radon and thoron gas concentration have also been measured by using the LR-115 based pin-hole detectors in the same villages and the estimated concentrations are within the recommended level of the International Commission of Radiological Protection. For the outdoor environment, the minimum and maximum gamma dose rate were 0.06 and 0.4 μSvh−1, whereas for indoor environment, the minimum and maximum gamma dose rates were 0.09 and 0.21 μSvh−1, respectively. Effects of lithology on indoor radon/thoron concentration and also on gamma dose rates have also been investigated. The average values of annual effective dose from background gamma radiations were well within the safe limit and does not cause health hazard to the inhabitants. Lead (Pb) goggles used by radiation workers while performing fluoroscopy-guided diagnostic and interventional procedures reduce the doses to eye lenses substantially. In majority of the cases, the dosimeter intended to measure eye lens doses is worn close to the eyes but outside the lead (Pb) goggles. In such situations, additional reduction factors are required to approximate the actual doses which eye lens might have received. However, the value of the dose reduction factor (DRF) for a given energy may vary due to the dependence on the methodology of measurement, that is, whether the dose is estimated free-in-air or on a phantom. Due to this reason, the DRFs quoted by suppliers or manufactures cannot be implemented directly for dose estimation. Free-in-air as well as on phantom studies for the measurement of DRFs for lead (Pb) goggles having equivalent thickness of 0.75 mm were performed using optically stimulated luminescence (OSL)-based dosimeters. Measurements were carried out for photon energies having relevance in interventional cardiology (IC) and radiology (IR), and other facilities where eye lens monitoring might be important. It has been found that the DRFs differ substantially for irradiations done free-in-air and on the phantom. The results showed that for X-ray energies relevant to IC/IR procedures, the DRF values were found in the range of ~60–90 and 7–15 for free-in-air and on phantom measurements, respectively. Similarly, the DRF values for N-80 as well as 241Am photons were found to be ~15 and ~3.50 for free-in-air and on phantom measurements, respectively. The difference in the DRF values for free-in-air and on phantom measurements would arise due to the presence of backscattering associated with the phantom studies. 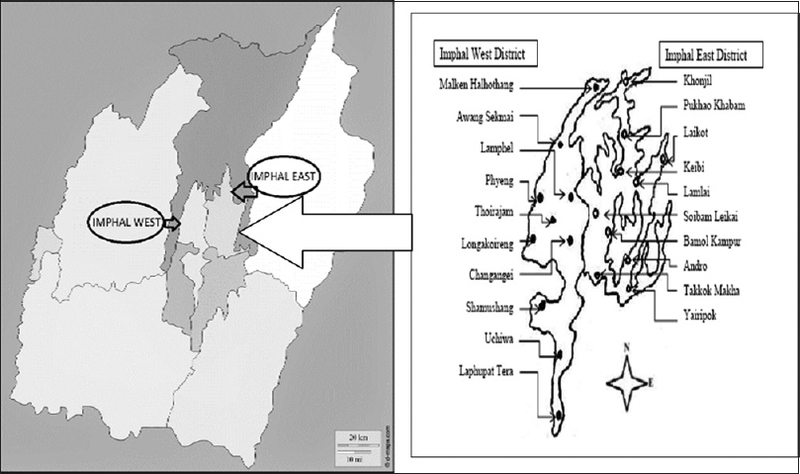 The radioactivity concentration and the natural gamma absorbed dose rates of the terrestrial radionuclides (226Ra, 232Th, and 40K) have been determined in soil samples collected from twenty different locations of Imphal city, India, using high-purity germanium detector. The range of activity concentration of 226Ra, 232Th, and 40K in the soil from the studied areas varies from 30.3 Bq/kg (Phayeng) to 155.5 Bq/kg (Lamphel), 21.2 Bq/kg (Yairipok) to 257.1 Bq/kg (Lamphel), and 287.4 Bq/kg (Uchiwa) to 2209.3 Bq/kg (Changangei) with overall mean values of 94.1 Bq/kg, 146.5 Bq/kg and 1222.9 Bq/kg, respectively. The absorbed dose rate and annual effective outdoor dose in the study area range from 61.0 nGyh−1 and 0.4 mSv (Laphupat Tera) to 294.4 nGyh−1 and 1.1 mSv (Lamphel) with an average value of 182.9 nGyh−1 and 1.1 mSv. The external hazard index ranged from 0.4 to 1.8 with an average of 1.1. It was significant in 12 locations as it exceeded unity. 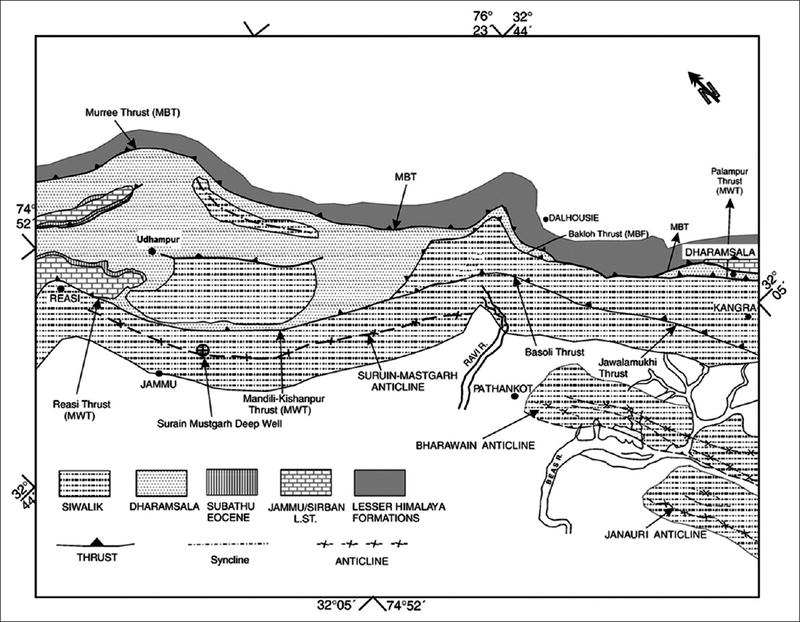 The radioactivity concentration and the natural gamma absorbed dose rates of the terrestrial radionuclides (226Ra, 232Th, and 40K) have been measured in soil samples collected from Thoubal and Bishnupur districts, Manipur, India, using high purity germanium detector. The range of activity concentration of 226Ra, 232Th, and 40K in the soil from the studied areas varies from 28.7 Bq/kg (Thoubal College) to 126.0 Bq/kg (Kakching Khunou College), 27.2 Bq/kg (Ikop Pat) to 203.5 Bq/Kg (Kakching Khunou College), and 335.6 Bq/kg (Nongpok Sekmai) to 1953.9 Bq/kg (Mantak) with overall mean values of 69.8, 76.6, and 1028.0 Bq/kg, respectively. The radium equivalent activities (Raeq) have been evaluated in soil samples for the assessment of the radiation hazard. The corresponding absorbed dose rate, annual effective dose, and external radiation hazard index in the study area range from 54.5 to 239.3 nGyh−1, 0.3 to 1.5 mSv, and 0.3 to 1.4 with an average value of 121.4 nGyh−1, 0.7 mSv, and 0.7, respectively.